I often receive emails from readers about the little things. I am always happy to help however I can! This one came in recently and I thought it was a great example of a really good question needing an equally good answer. 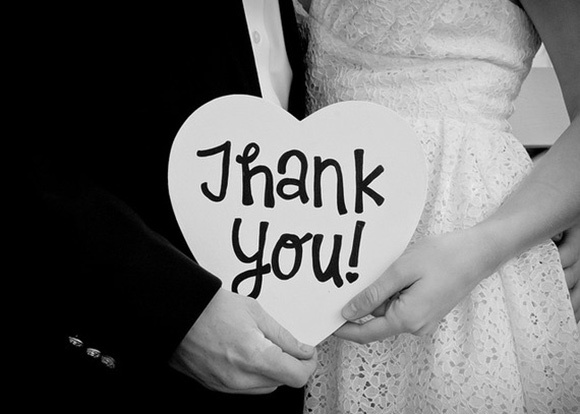 I was hoping to get your take on thank you cards for wedding gifts and when to send them. We have just started to receive some gifts for our wedding next month and it feels weird to wait until after the wedding to acknowledge our receipt of them. What do you think? If I do choose to send a thank you card for a gift sent now, should I also send another thank you card after the wedding thanking the guest for coming? Super good question!!! Write them as you get them. Much less daunting task than waiting until after the wedding. It’s totally acceptable to get wedding gifts early and it’s even more acceptable to write as you get them. The person who’s sending the gift likes it, too, because they feel good knowing you’ve received it and it’s safely in your home. After the wedding, you’ll write these same sentiments but just make them past tense.